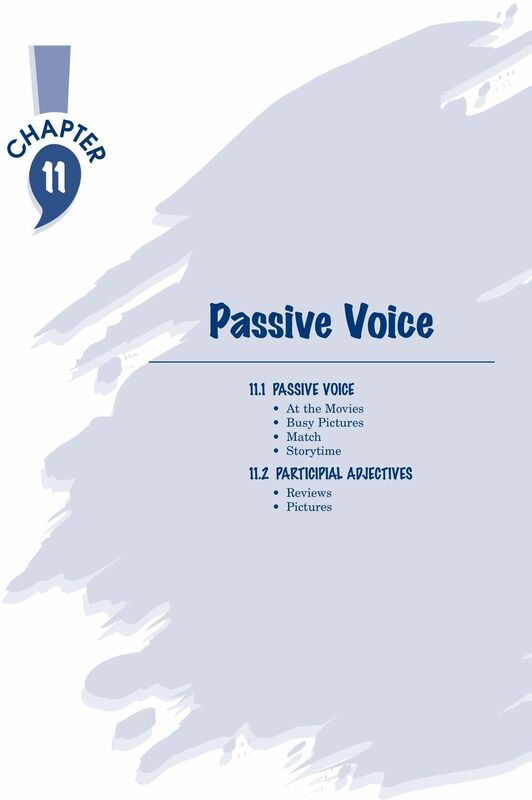 Download "Passive Voice 11.1 PASSIVE VOICE 11.2 PARTICIPIAL ADJECTIVES. At the Movies Busy Pictures Match Storytime. Reviews Pictures"
In this case, I focus on the fact that a mistake was made, but I do not blame anyone. 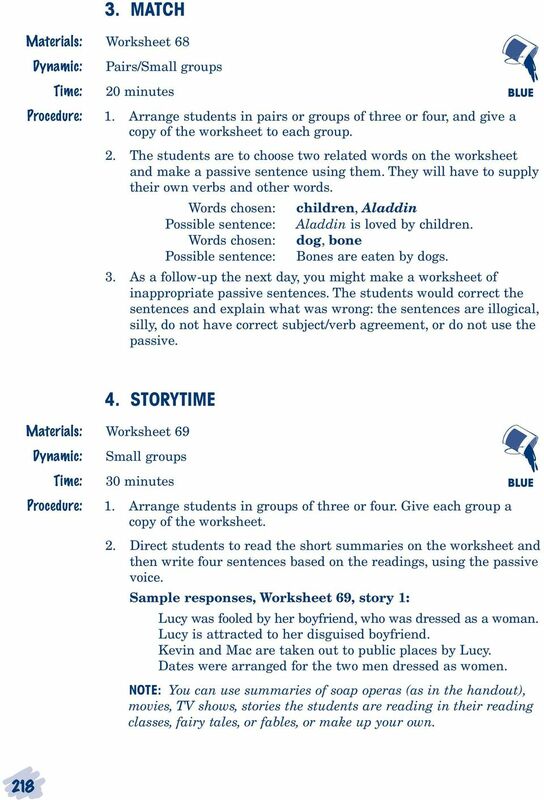 1 English Short Stories for Beginners, www.really-learn-english.com Thanks for downloading the English Short Stories booklet. It includes the first 2 chapters of the English Short Stories Book and Workbook. 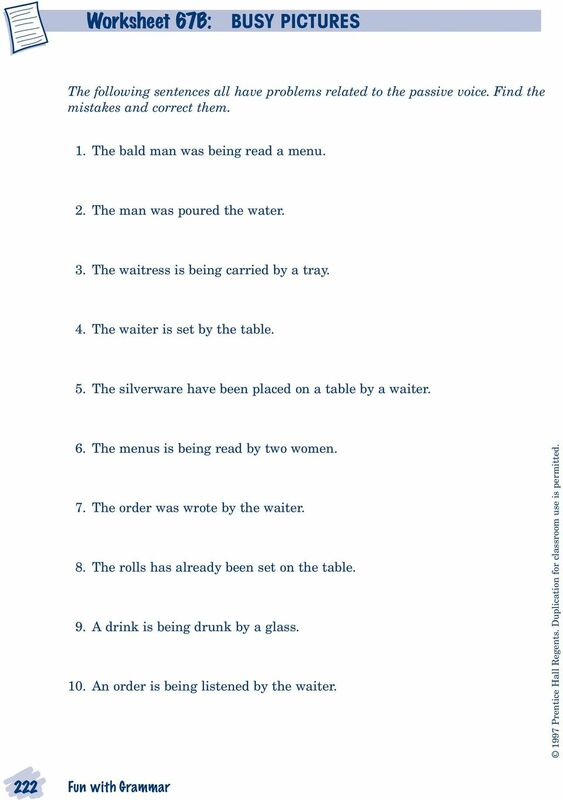 Quick and handy grammar review articles 2. 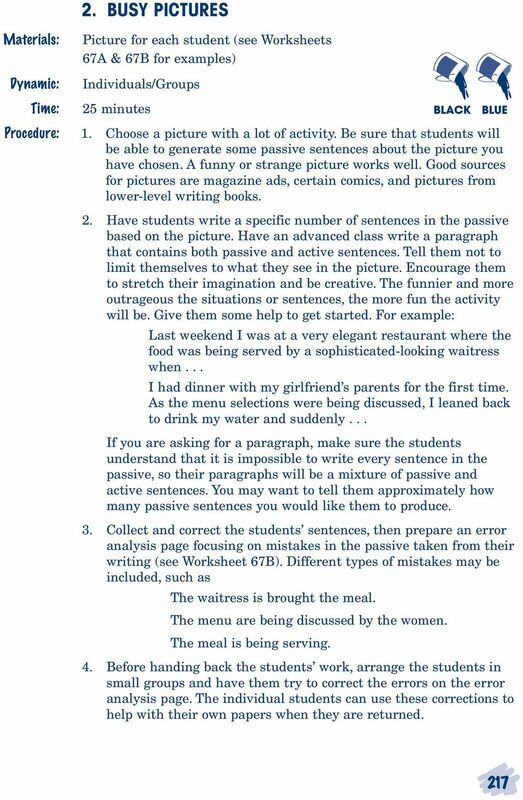 Exercise 1: Complete and incomplete sentences. 4. 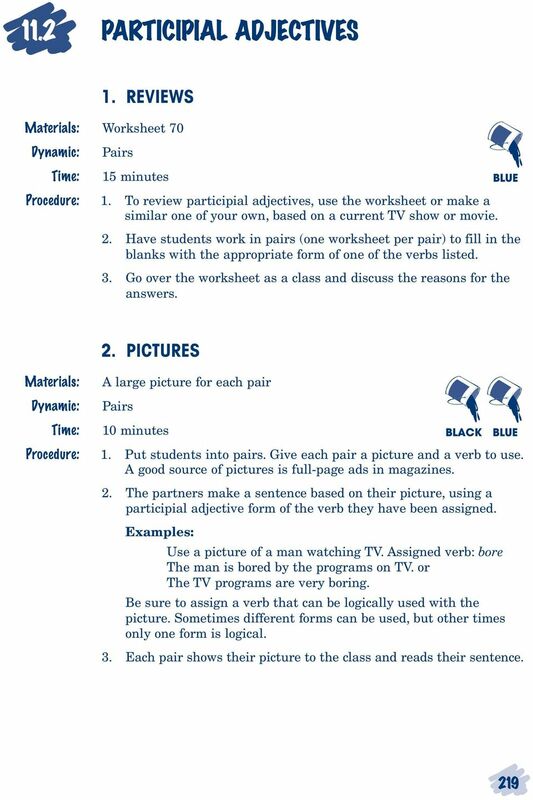 Exercise 2: Complete and incomplete sentences. 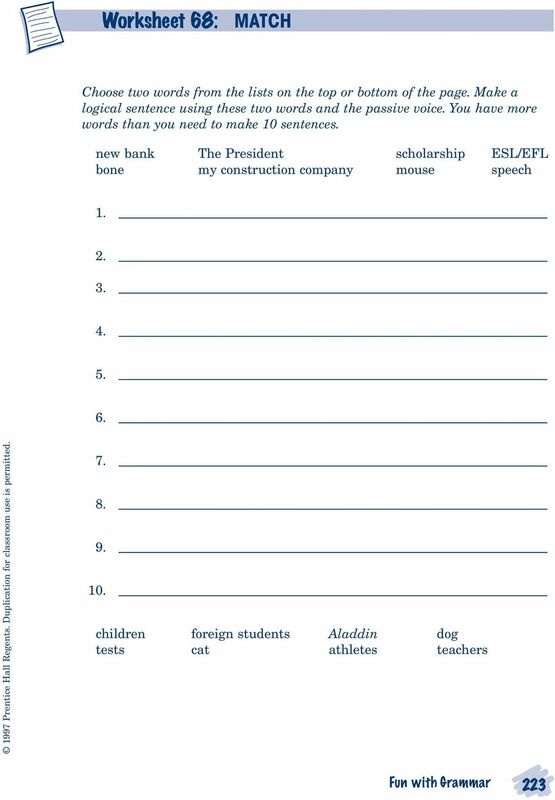 Grammar Goal Sheets. 3. My dog Sally is (cute) than my dog Rascal. Is Michael Jordan (famous) than Kobe Bryant? B) I know why the men took Vesper, he thought to himself. They knew that I would try to rescue her. This is my fault. I haven t been careful enough. 1. Read the short resume which explains what happens in the first part of the James Bond story Casino Royale. 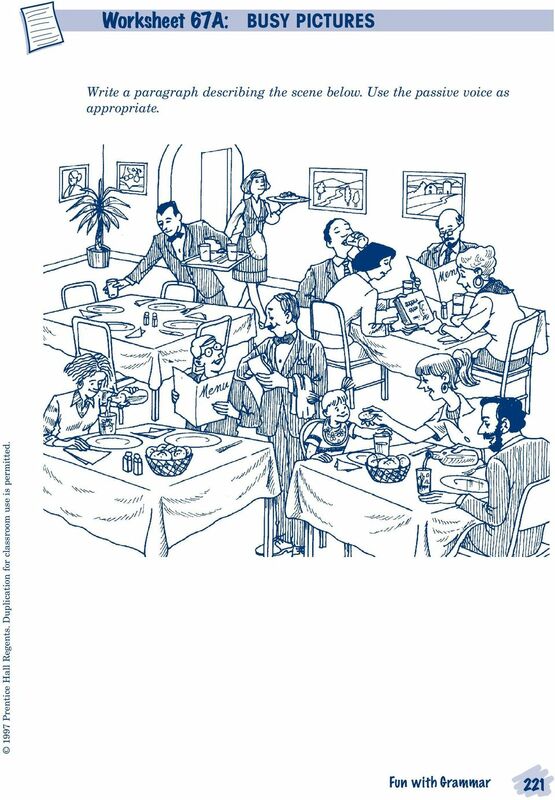 Then arrange the paragraphs below in the correct order to make the next scene from the story. 1) The subject. The man walked down the street. 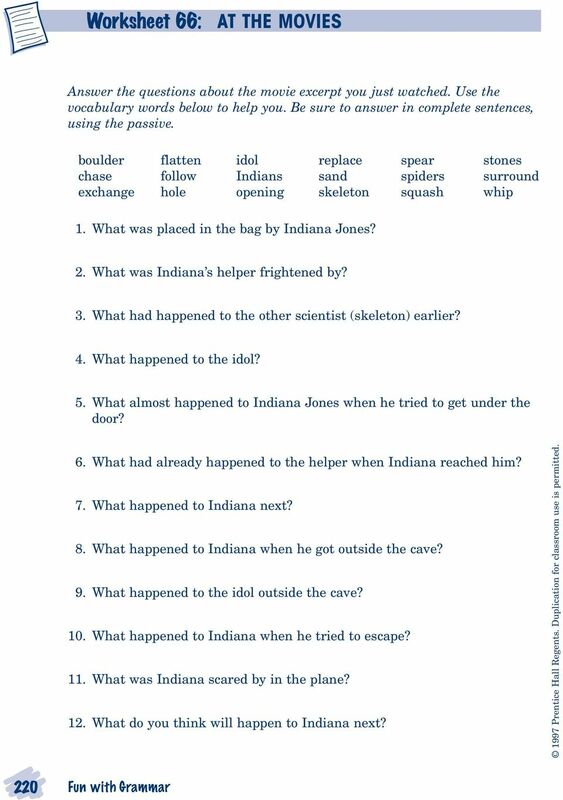 2) A participle (word ending in ing or ed) Walking up the street, he tripped. LIFE SKILLS. Learn to manage your time. A Read these sayings about time. With a partner, discuss what you think each one means. Time waits for no man. Get road maps for older children. The Long Journey Home While-Reading. Activity 1. Work in groups. Write adjectives which describe Mehmet. 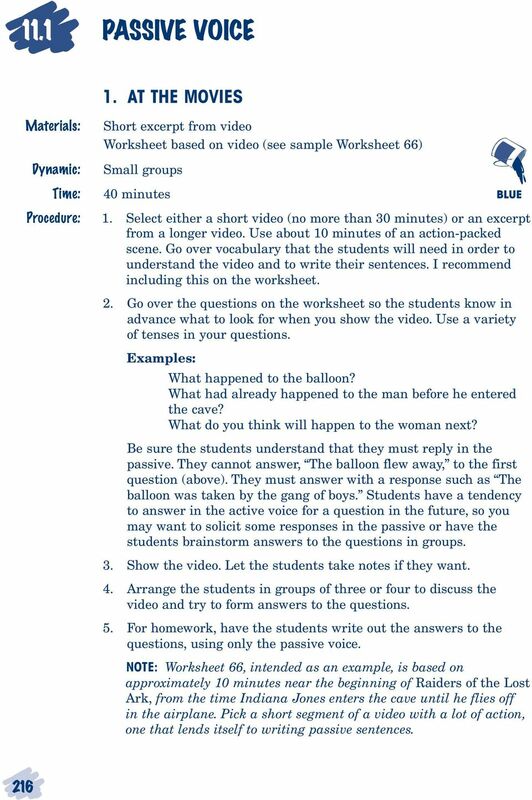 In this introductory lesson to Alice s Adventures in Wonderland, students will use all four skills. They will work individually and with partners. Skim-read the article and write the words into the gaps next to the meanings. The paragraph number will help you.